EQUIPPED WITH HONDA 5.5 HP (GX160) ENGINE. HEAVY DUTY INFINITE HEIGHT ADJ. WIDTH: 26.5" WEIGHT: 180 LBS. 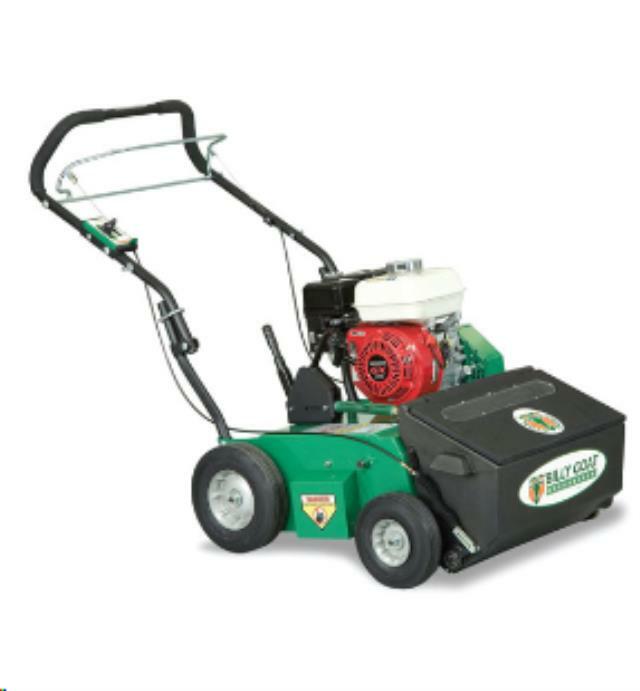 * Please call us with any questions about our lawn overseeder billy goat rentals in Old Town ME, Milford, Bangor, Pea Cove, Eddington, Bradley, Orono, Bangor ME.